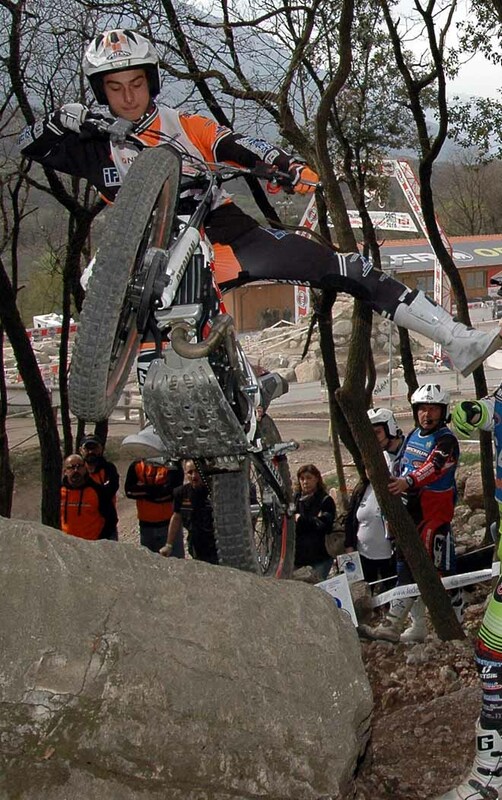 It seems that Spanish riders decided to start to dominate the scene even in the European field. 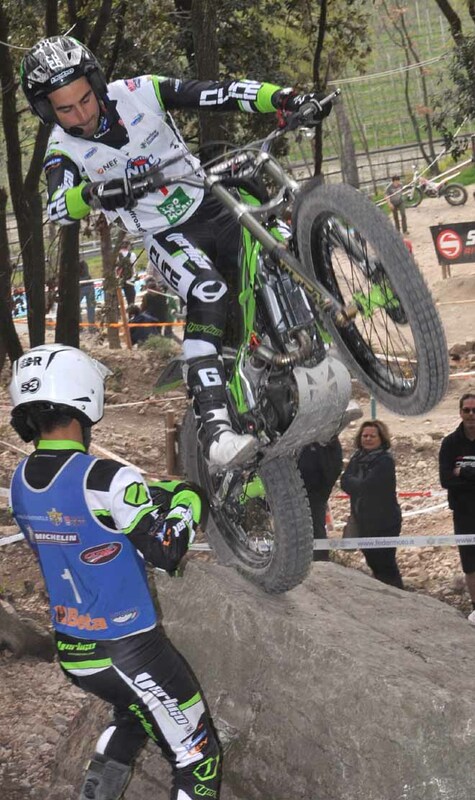 In the first round held in Pietramutata, Italy of the FIM Europe Championship, we saw a familiar fight between two Spaniards. 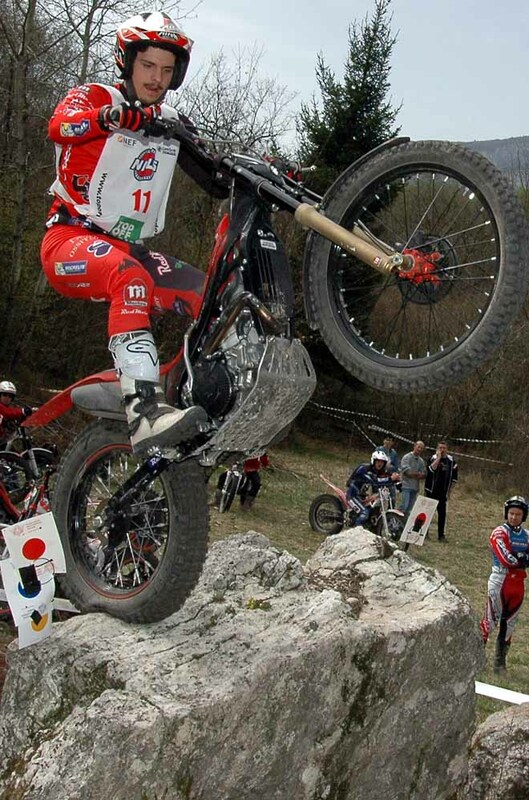 The youngest, only 18,Miquel Gelabert (Sherco), second in the last year World Junior class, beated Francesc Moret (Vertigo) who until the last section of the last round last year contested the European title to Italian Gianluca Tournour. 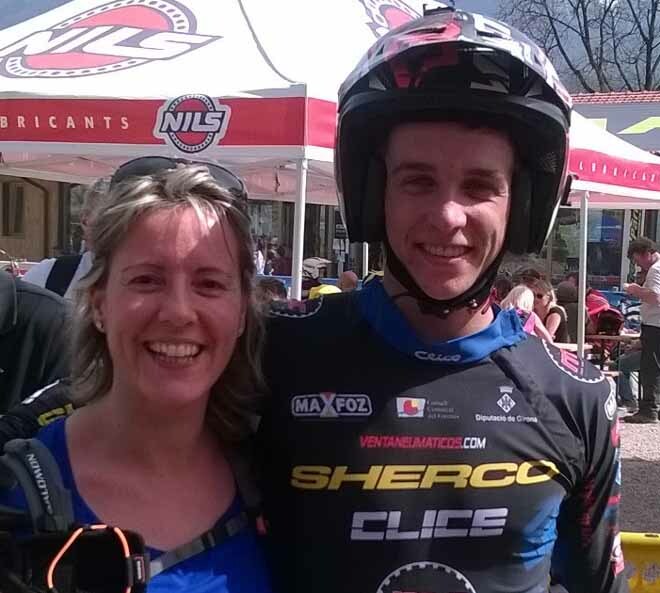 Maybe Moret thought to have the chance to gain easily the trophy this year, and of course he is among the favourite pilots for clinching the 2016 title, but a big signal arrived from his country mate, Gelabert, who today showed to have reached a good maturity, either as riding skill or ability to keep concentration. 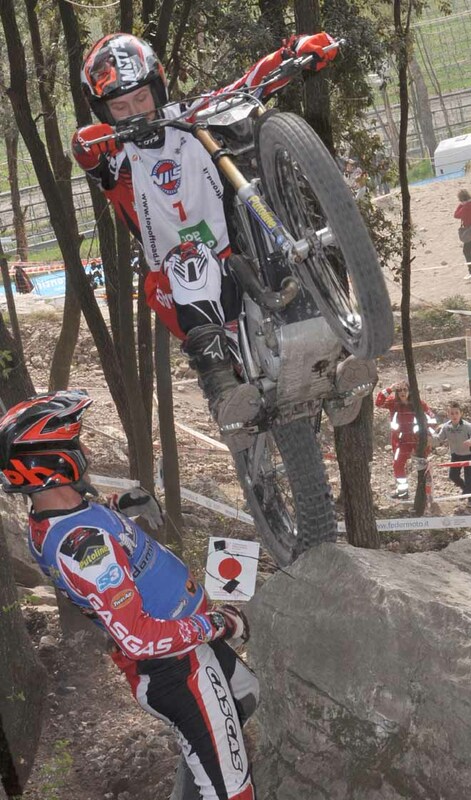 With a superlative first lap, in which he lost just 2 points, he put soon a serious option on the final result. Moret was not distant, having scored 7, but all the others were quite behind. 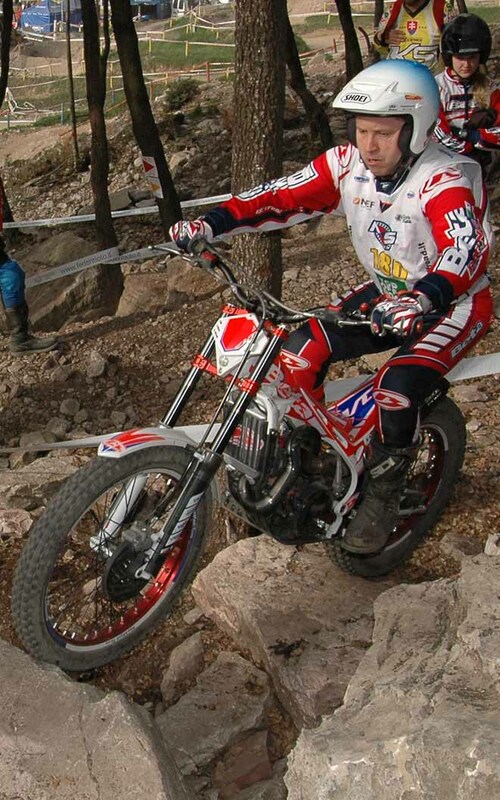 Gabriele Giarba (Montesa) scored 13 and was ahead of Dan Peace (Beta) with 14. Without any surprise the second lap. Gelabert made some mistakes more but his score was still the best on the loop: 11 penalities. Moret made just one point more. Giarba kept the third place, scoring 20. 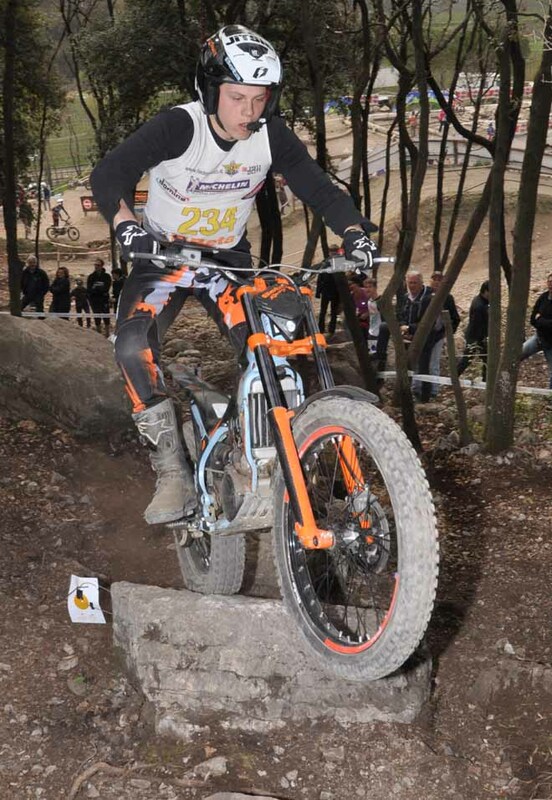 In the Junior class British Jack Price (Beta) capitalized the experience of his second place in the day before and this time he learned very well the best way to ride on this dry but trickery rocks and putting behind his shoulder a list of 5 Italian riders, he won this first round. The situation was quite uncertain at the turning point. 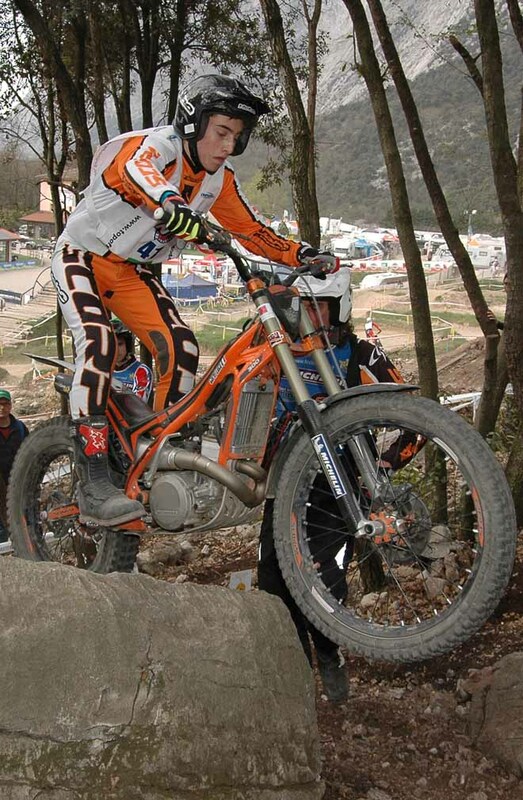 Second arrived, Luca Corvi (Scorpa) was leading with 5 marks. One more for Peace, but with 7 points here was Sergio Piardi (Beta) and on 9, Michele Andreoli (Scorpa). Corvi was not able to repeat his high performance, or better, he made 7 errors and that was not bad, but Peace did better. 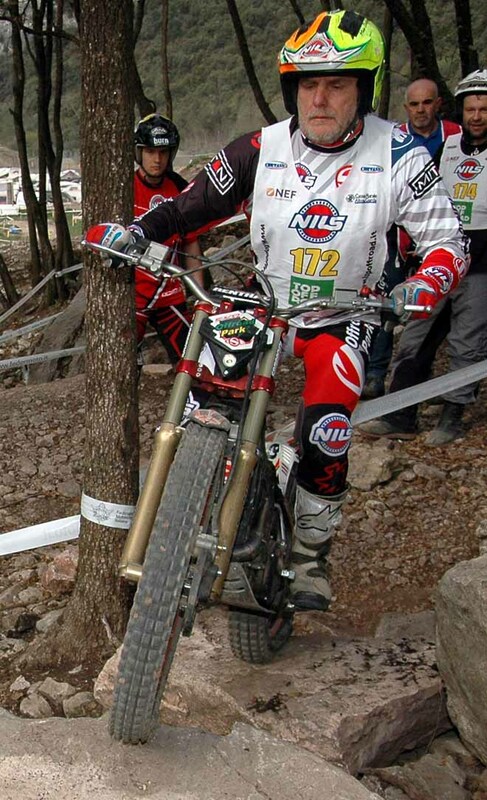 He rode extremely well, making only 4 mistakes, so he overtook Corvi. Piardi and Andreoli kept their positions. 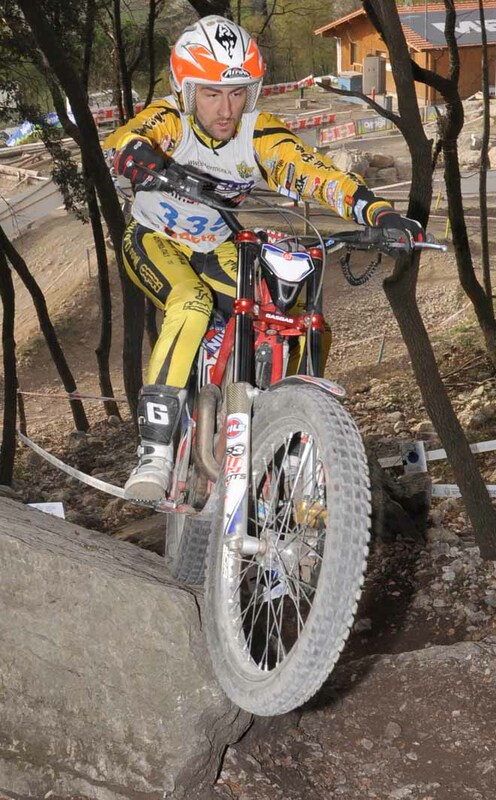 German Markus Kipp (Beta) topped the Over 40 class with 6 points, 3 each lap. Runner-up Italian Walter Feltrinelli (Beta) who was leading by one single point after the first lap, then loosing concentration due to an unexpected “five” in second lap. 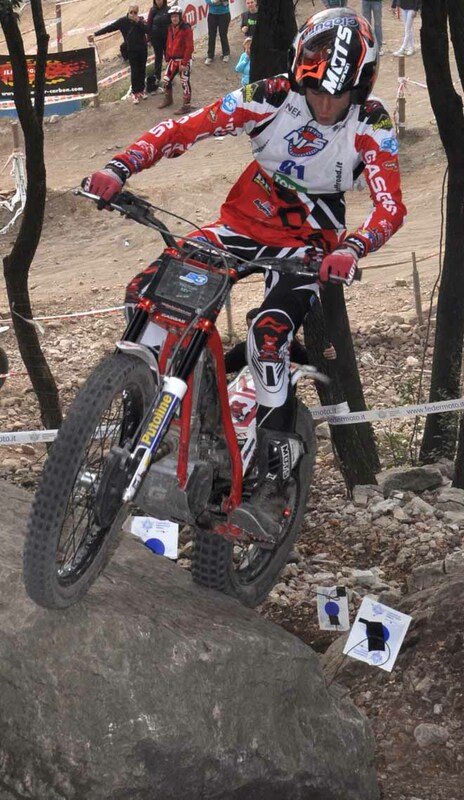 In third from Czech Republic, Petr Masek (Montesa). In the International 1 class, there was a glorious return to the competitions. Italian Manuel Postal (Gas Gas)won easily, while in the numerous International 2 class German Philipp Emonts (Beta) has hard time to beat his country mate Timmy Hippel. The two's finished separated by 2 points. During the price-giving, it was respected one minute of silence in honor of an unforgettable icone in our Trial era : Martin Lampkin, first world champion in 1975 and father of the 7 time world champion Dougie, passed away the day before, succumbing to cancer disease at 65. 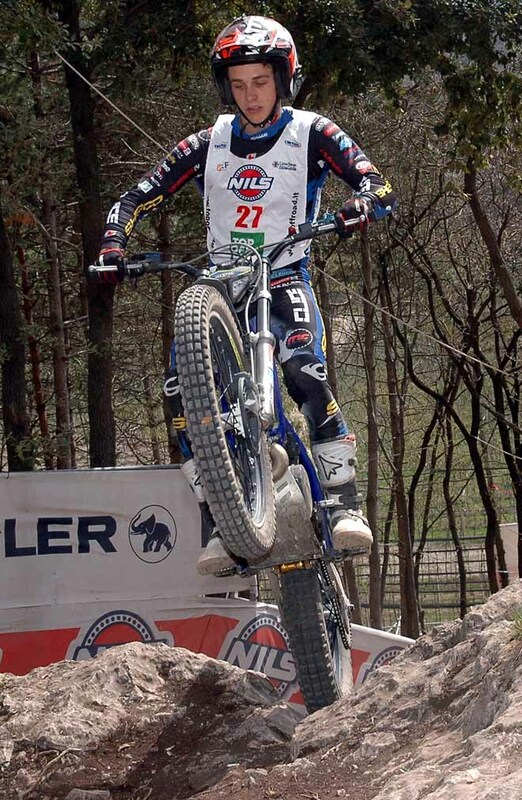 Next round in Breal sous Montfort on 21st of May.